Tucked into a forested area of The Banff Centre’s vast 43-acre campus is a collection of charming buildings designed by nine distinguished Canadian architects. The Leighton Artists’ Colony was established in 1985 as a semi-secluded environment where artists can turn off the distractions and focus on their creative projects. When I was in Banff last month doing research and interviews for a special Banff Lake Louise Tourism branded content piece (published in Ignite magazine’s June/July issue), my tour guide was The Banff Centre’s media and communications officer, Jill Sawyer. 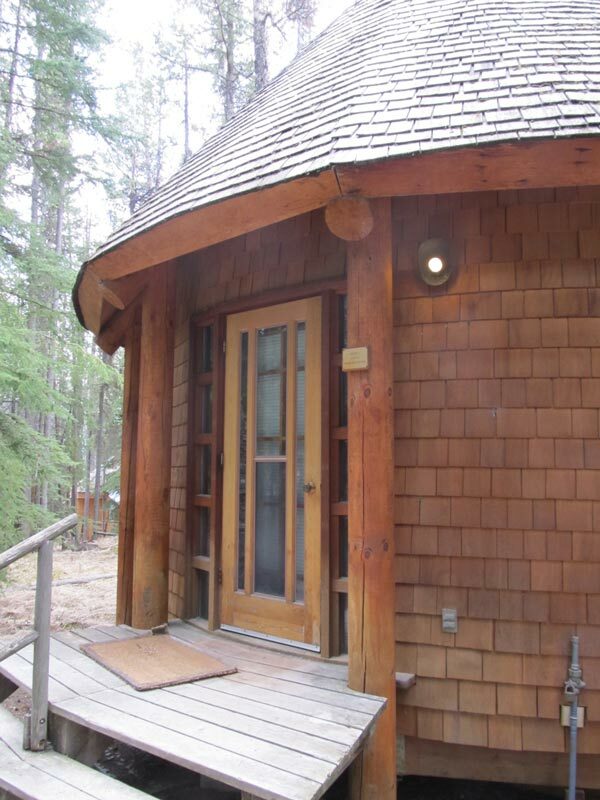 Jill told me that all artists – writers, composers, sculptors, visual artists, singer-songwriters, curators and those working in theatre, dance and film – are eligible to use any of the cabins for a week or more. 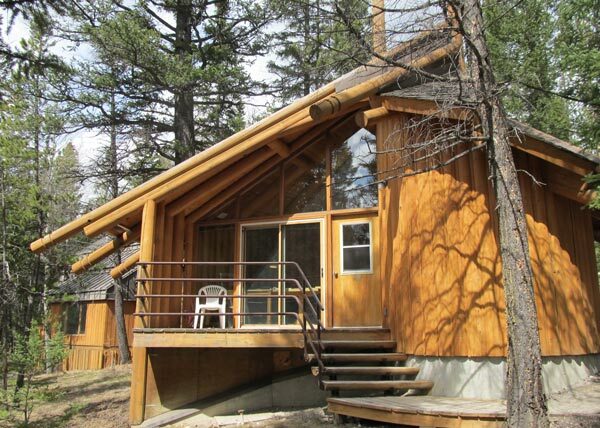 Past tenants include artist Ken Lum, author Yann Martel and musician Joni Mitchell. “Artists come here from all over the world, and one of the reasons is to incorporate this environment with the creative work they’re doing,” Sawyer explains. While the Colony was purpose built in the mid-1980s, the most recent addition to the group is the 100-year-old former home of Walter S. Painter, chief architect for the Canadian Pacific Railway (CPR). Painter’s works include CPR train stations and hotels across Canada, notably the redesign of the Banff Springs Hotel a century ago. 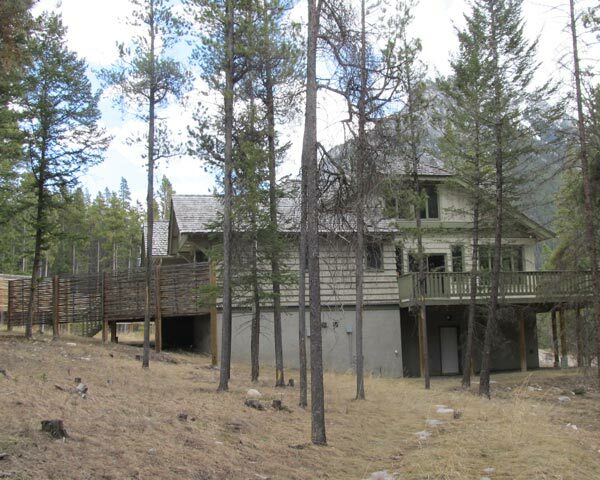 In 2008, hockey legend Glen Sather (who’d purchased the house from Painter’s daughter), donated the 1,800 sq.ft. 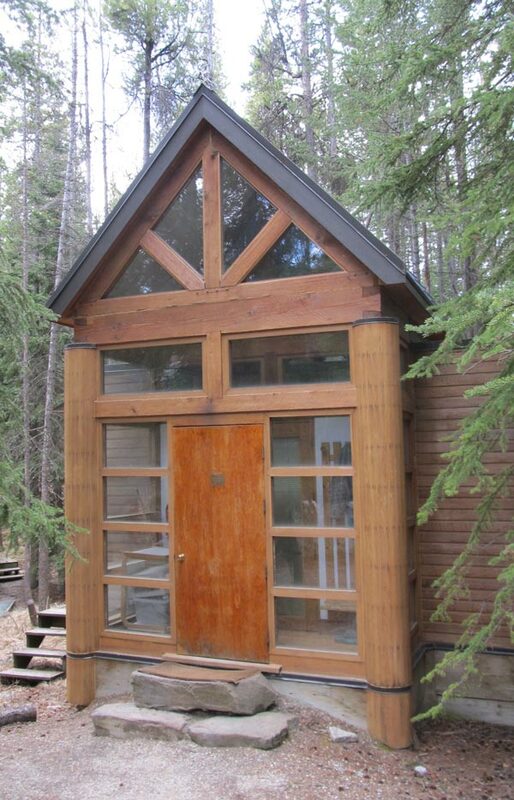 building to The Banff Centre, and it was moved from its original Buffalo Street site all the way up Tunnel Mountain to its current location. 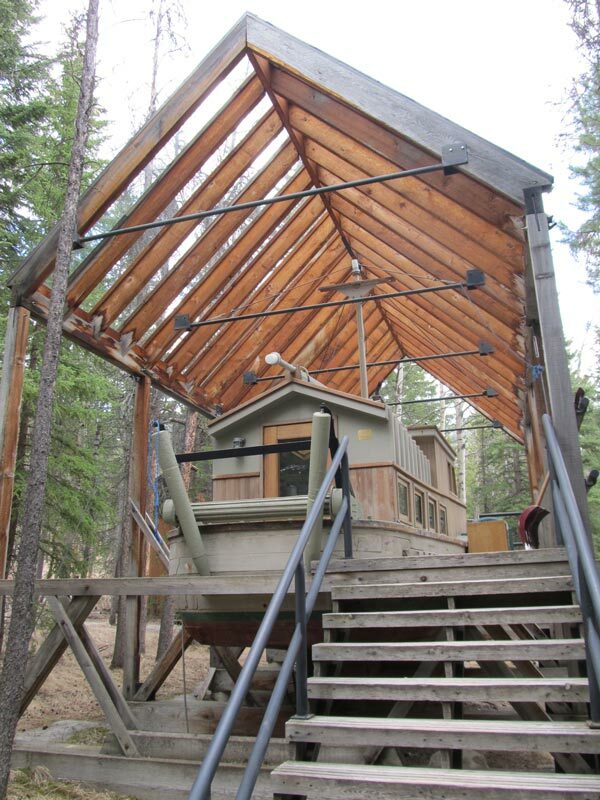 As for the Colony’s other eight one-of-a-kind studios, the architects clearly were inspired by the natural setting and views of the magnificent Rocky Mountains to design spaces where artists could be creative and productive. 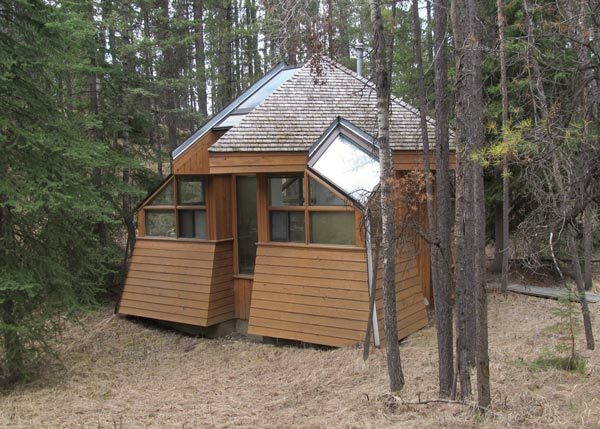 The Cardinal Studio for composers was designed by Douglas Cardinal (Canadian Museum of Civilization) in the form of a nautilus shell for maximum privacy. The Hemingway Studio for writers is influenced by Haida architecture and was designed by Peter Hemingway (The Muttart Conservatory). 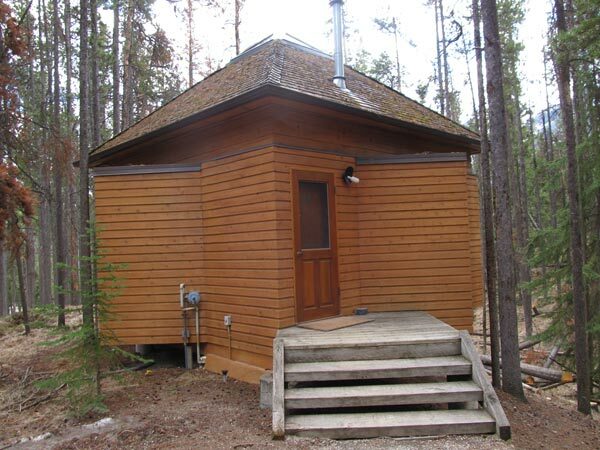 The Valentine Studio for composers was designed by Fred Valentine (Canada Olympic Park XV Olympic Winter Games facilities), and contains a grand piano. The Henriquez Studio for writers was designed by Richard Henriquez (The Sinclair Centre) and is a refurbished fishing boat that was once used on the Fraser River. 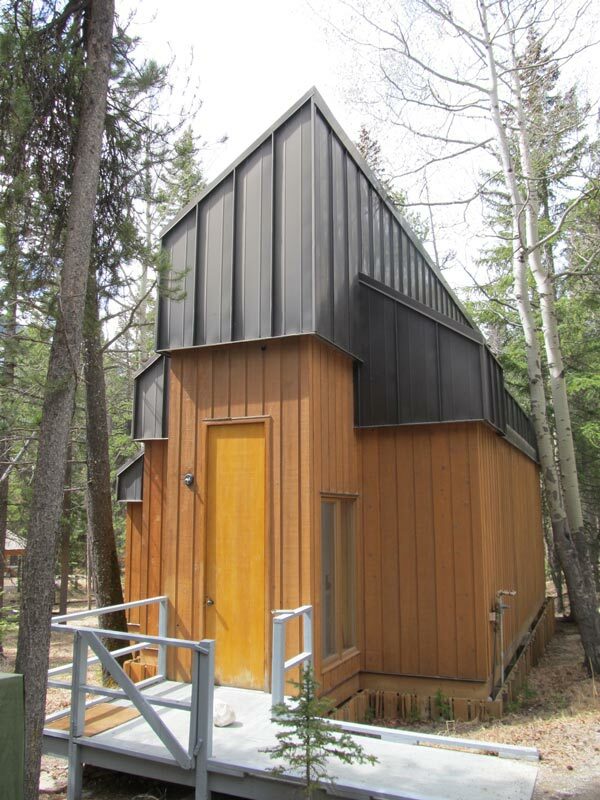 The Evamy Studio for writers was designed by Michael Evamy and is a balanced use of glass and cedar. The Davidson Studio for composers was designed by Ian Davidson (Postal Station D, Vancouver) and is a star-shaped structure. The Gerin-Lajoie Studio was designed by Guy Gerin-Lajoie (Québec Pavilion, Expo 67) and is used for a wide range of projects. Not shown: The Thom Studio for visual artists, designed by Ron Thom (Massey College, University of Toronto).